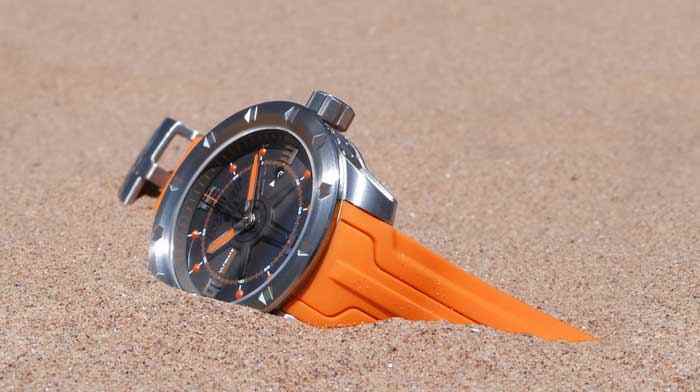 Few pictures of the exclusive Limited Edition orange mens Swiss watch Wryst Ultimate ES50 for extreme sports this summer 2015 in the sand dunes of Dawlish Warren on the English Riviera. 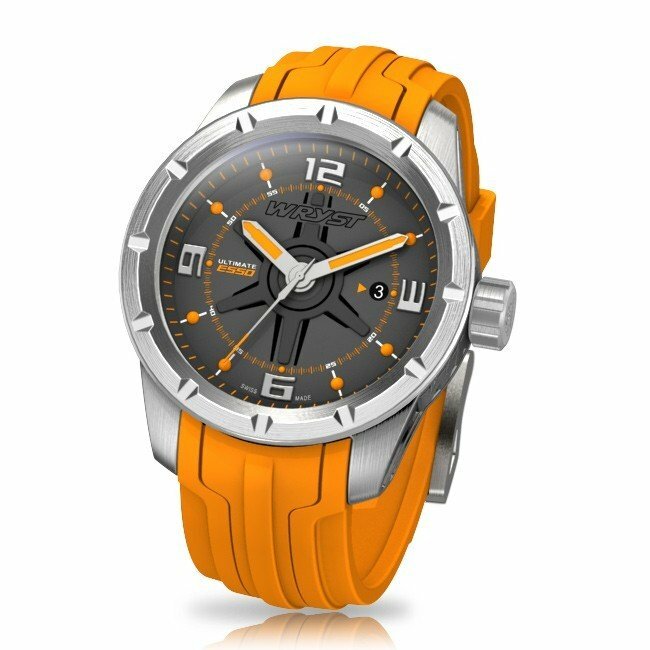 Wear a unique and exclusive limited edition timepiece with a high-quality brushed stainless steel case and striking combination of dark grey and bright orange colors for a Wryst Ultimate ES50 with unprecedented style. Produced exclusively in Limited Editions of 99 pieces, the ULTIMATE sport watches Wryst are ultra sporty, dynamic and a spectacular testimony of unique watchmaking style. The watch case sides are engraved 0.6mm deep with CNC machining which is a significant challenge in itself. 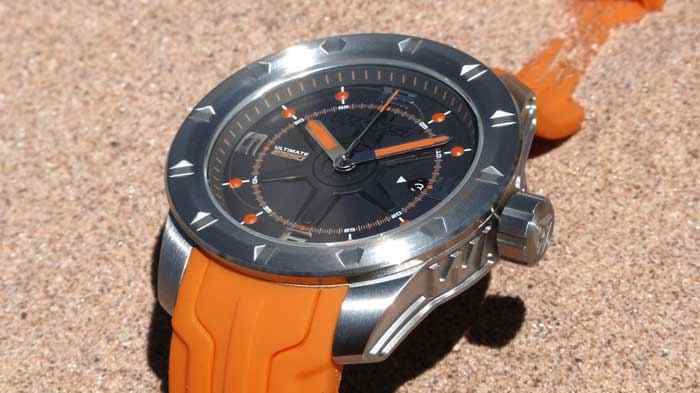 This ES50 sport watch with a suave combinaison of dark slate grey and orange details is something totally new in the watch industry. 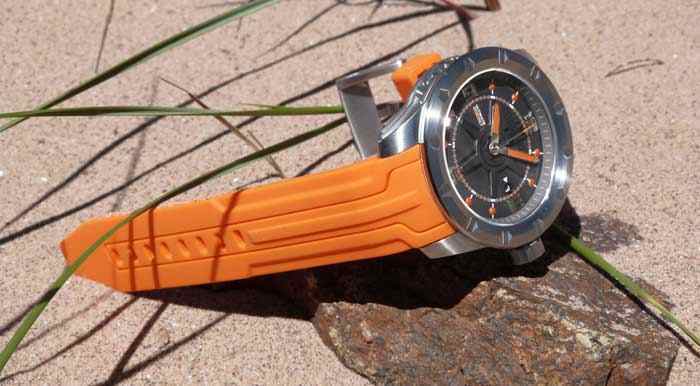 An extra all-orange silicone strap is also provided for free with this watch. 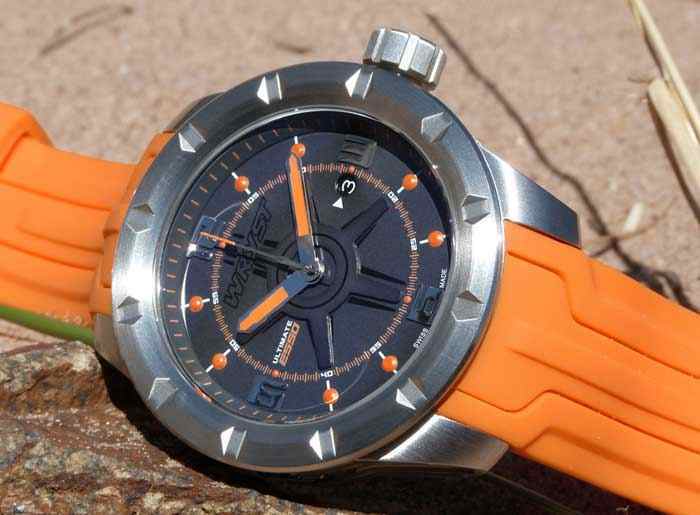 The Limited Edition Swiss Sport Watch WRYST ULTIMATE ES50 in dark grey with orange details is bold, fun, modern and a great watch for Extreme Sports. 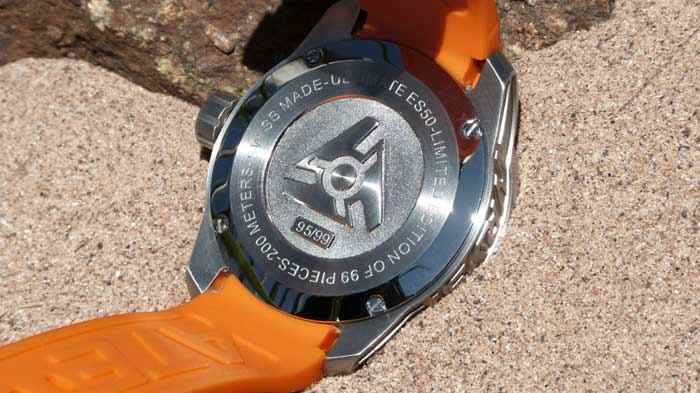 With a large 45mm case size and a lot of style it has spectacular overall design to stand out and look cool. Strongly built and with sapphire crystal, it makes the ideal sport watch for intense use and hostile environment. Dawlish Warren is located at the mouth of the Exe Estuary in Devon. Just across is Exmouth, ideal location for watersports. The seaside town of Exmouth, the gateway to the Jurassic Coast, right opposite the legendary duckpond. Exmouth has some of the best watersports locations in the country in the form of the duckpond (the mouth of the exe estuary) and the seafront with its golden sands, awesome views and fantastic tidal conditions.Kitesurfing is one of the latest and most exciting watersports to hit the UK. Taking the best aspects of Surfing, Windsurfing and Wakeboarding and putting it into an adrenaline packed sport where you can ride big waves, jump really high, do low technical spins or just cruise. This watch is superb! Looks very nice and strong. What is the weight?